A new exhibit created to remind people of the importance of recycling is coming to The Art Gallery at Eissey Campus. Titled “Waste Not,” the exhibit features artwork that was repurposed from discarded materials from Aidana Baldassarre, Randy Burman, Stephen Futej, Isabel Gouveia, Sibel Kocabasi, Allison Kotzig and Lucinda Linderman. An opening reception will be held from 5-8 p.m. Oct. 31. The show, which runs Oct 31 to Dec. 8, features 16 pieces of artwork that are available for sale. Prices range from $250 to $6000. “The exhibition reminds the viewer that recycling is not only necessary to sustain our planet’s resources, but it is equally valid as an innovative creative process and an important theme in the visual arts,” said Art Gallery Specialist Karla Walter, who curated the exhibit with Nazare Feliciano. 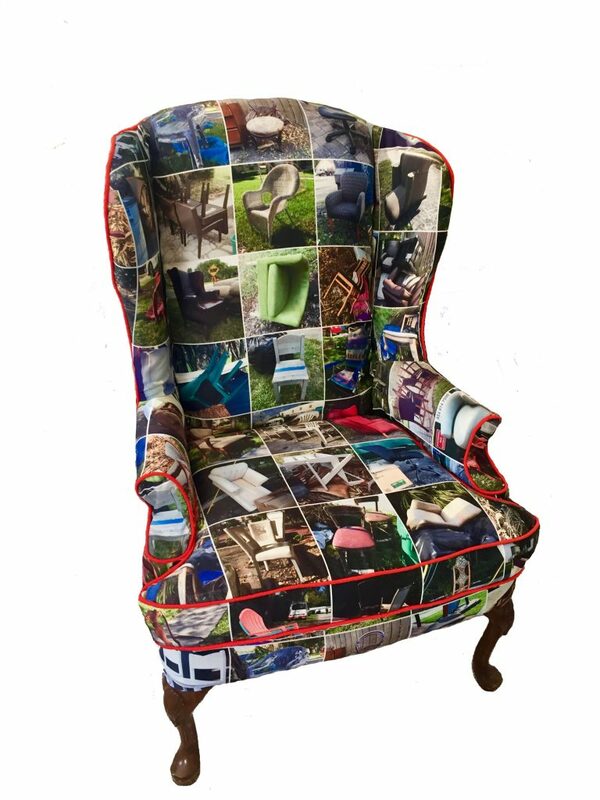 Burman, a North Miami artist, includes one of his pieces titled “Thrown Thrones.” It features a thrift shop armchair reupholstered in a dye-sublimation printed grid pattern of 40 iPhone photographs taken of discarded chairs found on walks and while driving. Other pieces in the exhibit include Linderman’s reclaimed thread, spindles and sustainable wood. Gouveia features “plastic critters,” which are creatures built mainly from materials found in the recycling bin. Gallery hours are 9 a.m. to 5 p.m. Monday-Friday. The Art Gallery at Eissey Campus is located on the first floor of the BB building, 3160 PGA Blvd. For more information, call the gallery at 561-207-5015.